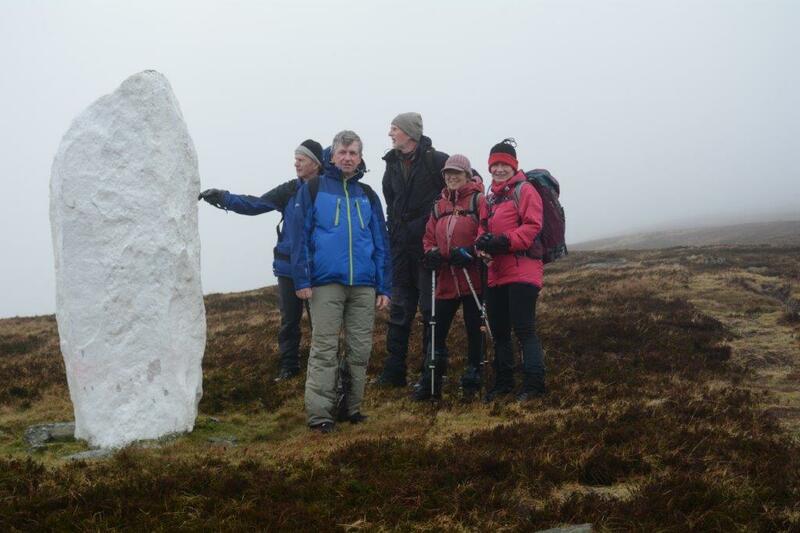 Comeraghs/ Monaghvullaghs (longer route) Nine enthusiastic members (including one “newbie”) climbed from Dalligan Bridge to Barnamadra, where they stopped to examine the famous Standing Stone and ring fort. 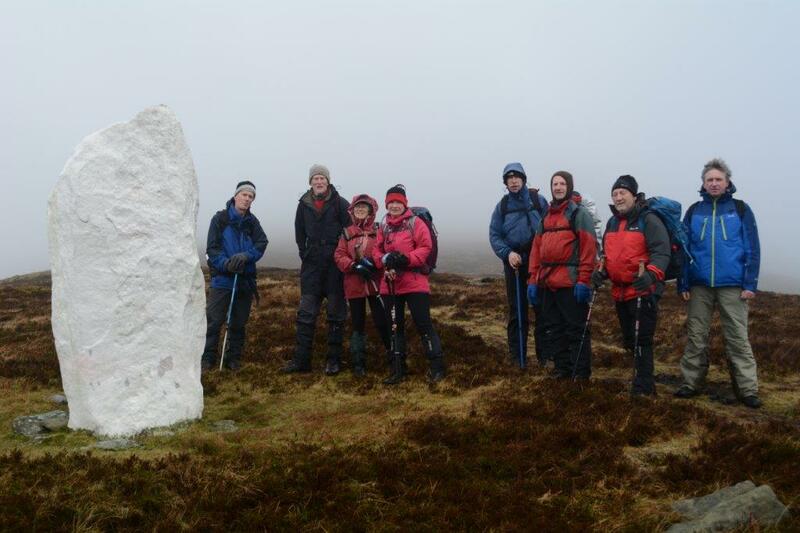 Breath recovered, they made a push for Seefin (726m) assisted by a blustery wind, and had lunch beside the ugly summit hut. 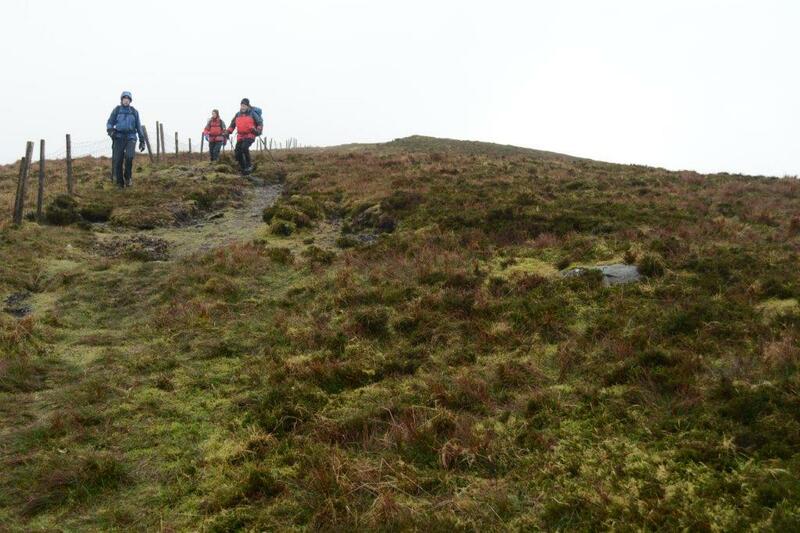 The rain was well in at this stage but, as their planned route led down into the valley, they continued in relative shelter among the archaeological sites. It was too wet for detailed exploration, so they headed on down to their cars. 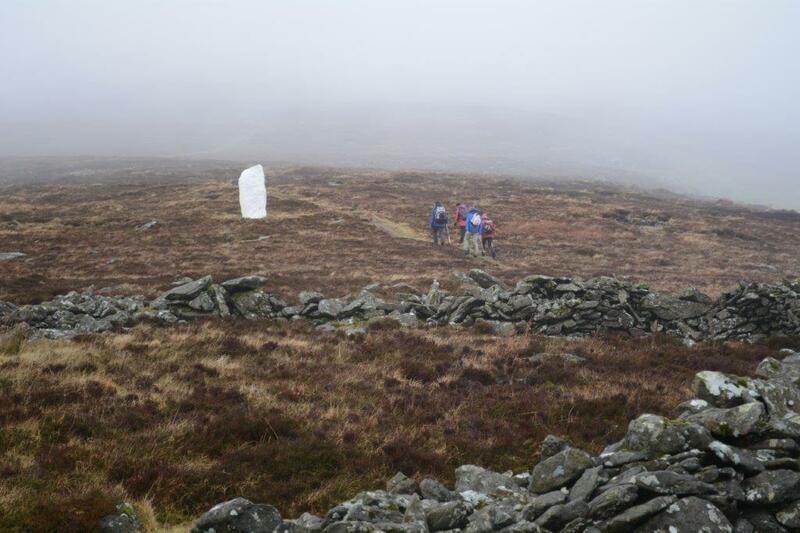 Comeraghs/ Monavullaghs (shorter route) Seven equally enthusiastic but slightly slower members also started at Dalligan Bridge. They climbed at a leisurely pace up to the ridge at 617m, and the sorry sight of the rusting TV cable station. Here, they got the full force of the wind and rain, but they continued bravely to Barnamadra where they had lunch among the stone circles. At this point they were soaked to the bone, so turned and headed down. The two groups met for coffee afterwards and there was some competition as to which group had got wetter.